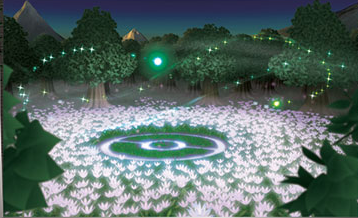 Arena Description: As seen in the picture below, the fairy garden is a circular clearing in a large coniferous forest. It is night time. The pink flowers glow in the twilight and fireflies flit around the stadium. In the very centre of the garden is a Poké Ball shape. Additional Rules: Basic or Baby Pokémon that can still evolve please! I'll use Pepper, the Growlithe! C'mon out, Dwayne "The Rock" Johnson! Alright, so you've got an insane advantage, so exploit it ruthlessly. First we'll start out with an Earthquake, then follow up with a move that I'm honestly confused is in your moveset, Toxic, then pray to the Random Number Gods that you hit this Can You Smell What The Rock Is Cooking DynamicPunch! Wow! We really seem to be at a disadvantage here! So what I want you to do is start by removing your fire type! This will reduce the number of super effective moves Geodude has at your disposal! I want you to do this by using Burn up! 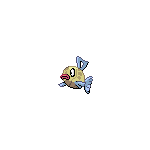 We're still at a huge disadvantage, what with your movepool compared to Geodude's, so let's reduce the accuracy with Mud Slap! Lastly, we've kind of just got to pray that DynamicPunch doesn't hit, but if it does we should probably look at some damage control, so try to hit it with a Will-O-Wisp! The fairy garden is tranquil this evening, as it always seems to be. Perhaps it's the remote location, or maybe some property of the delicate pink flowers that carpet the field, but one way or another the garden seems almost unnaturally quiet and peaceful. The arrival of two trainers promises to change all that, though, as the poké ball icon somewhat mysteriously trimmed into the grass at the garden's center marks this out as a battling arena. Kung Fu Ferret stares around at the glowing field, but Porygon2 looks like this is just what he was expecting. He wastes no time selecting a pokémon and bringing his growlithe, Pepper, out onto the field. With a battle imminent, Kung Fu Ferret tears his eyes away from the weird glowing flowers and flashing fireflies to choose his own pokémon. The Rock the geodude might not be totally comfortable battling somewhere with so many plants, growling out a challenge to his opponent. Pepper turns towards him briefly, lips pulled back in a snarl of such ferocity that The Rock's actually taken aback, the growl dying out somewhere in his ball-shaped body. Then Pepper looks away again, returning his wide-eyed gaze to the fireflies drifting overhead. He's never seen insects like that before, burning with their own intermittent fire. The Rock regains his composure, then passes a look around the arena himself. less impressed. A bunch of bugs and pretty pink flowers--it's not really his scene. But punching other pokémon? He's always ready for that! The rock-type slams a fist into his open palm and roars out another challenge, one that sounds even louder than usual in the fairy garden's hush. Pepper jumps, startled, but doesn't get a chance to respond in kind before the referee announces the start of the first round. The growlithe forces himself to focus back on the battle at hand and leans forward, trying to control equal parts anxiety and excitement as he listens for his first orders. - Mesmerized by the fireflies. Despite himself, Pepper's surprised by his first command. That's definitely an explosive start to his first battle! But The Rock's getting ready to unleash a powerful attack of his own, and Pepper knows he'll have to move fast, or the geodude's attack is going to hurt even more. The air around the growlithe ripples with heat, Pepper's very fur glowing a warning red, then orange, then white. Meanwhile The Rock slams his hands against the ground, waking violent tremors. A powerful earthquake shivers upwards while Pepper's burn up attack gains strength. The growlithe opens his mouth with a roar of superheated air, unleashing a massive fireball that engulfs The Rock completely. Then the earthquake roars up to engulf the arena, knocking Pepper off his feet while The Rock howls and beats at the flames with his fists. The burn up attack is hot enough to crack even The Rock's tough skin, and the earthquake is miserable for Pepper even with his fire elemental energy depleted. The flames spread through the thick grass covering the arena, and the earthquake opens deep fissures in the earth, tipping some hunks of sod up at crazy angles, while others are sunken and crumbling. After so much effort expended on the very first action, it's unsurprising that the pokémon are much less gung-ho in their follow-ups. Pepper slowly pulls himself back to his feet, panting out clouds of whitish smoke as he tries to get his wind back. Digging his claws into dark earth exposed by The Rock's earthquake, he kicks a few clods of mud into the geodude's face, to The Rock's grumbling displeasure. For his part, the geodude excretes a sticky sheen of toxic heavy metals, scraping it off into his hands and unloading a double-barrelled dose of disgusting poison on Pepper. The growlithe yips and rears back. Ugh, some of that got in his mouth! Pepper spits and works his tongue unhappily, trying to scrape it off with one front paw. The metallic mixture tastes horribly bitter, and Pepper's already getting nauseous. He can't spend too long trying to get rid of the poison, though. The Rock's already got one fist clenched, face set in a look of fierce determination, and Pepper wants to distract him as much as possible. It's hard, trying to draw flame when his own inner fire's quenched. The warm glow of the fire stone attached to his collar helps a little, but it's still several seconds before Pepper manages to breathe out a blue, swirling will-o-wisp. It's a little smaller than usual, but it gets the job done, drifting over to The Rock and leaving a dark black burn where it collides with the geodude's craggy skin. The Rock acts like he doesn't even notice. Brilliant brown-gold light shines from within his fist, illuminating his grim expression in stark highlight and shadow. The geodude draws his fist back slowly, then snaps it forward with a terrifying roar and a blaze of golden energy. Pepper can't help but close his eyes in the face of the dynamic punch--which swishes so close past hise nose that he can feel its blazing heat against his face. Pepper lets out a grateful breath, and another puff of smoke, while The Rock grumbles to himself. That growlithe's managed to avoid major damage so far--but just how long can his luck hold out? - Sick and smarting. Burned up. Badly poisoned (2% next round). Several small fires have started in the grass around The Rock, threatening to grow and spread with time. The ground is cracked and split, but most of the damage is covered by dense plantlife. An unwary step may see a pokémon dropping into a deep pit. - Sorry for the delay! Porygon2's up next. Last edited by Negrek; 10-04-2017 at 01:05 PM. I am most decidedly not Kung Fu Ferret. OK! I'm tempted to go for some really boring orders but they tend to backfire. Oh well, you only live once. Let's be boring, use Rock Smash three times! Ooh, yes, I'm sorry--shouldn't be reffing in the wee hours. RedneckPhoenix, you're commanding second this round, so if you could post some new orders we'll get round two underway! Before The Rock can recover and start in on a new attack, Pepper rushes in and brings a front foot down hard atop the geodude's round head, sending cracks spiderwebbing across The Rock's tough skin. The Rock grunts but retaliates almost immediately, lashing out with a quick series of punches that force Pepper to retreat again, panting and limping and feeling rather dazed. He wasn't expecting the brick break to hurt so much. Being without his inner fire is already an unsettling, uncomfortable feeling, and the shift in elemental alignments that goes with its loss only adds confusion on top. Still, Pepper knows he can't dwell on that now. He has a battle to win, and with that in mind he wheels right back around and rushes The Rock again, landing a rock smash in the very same spot, opening the cracks on The Rock's head even wider. This time he's prepared for The Rock's return strike and leaps aside, while the clots of mud still clinging to the geodude's crags obscure his vision enough that his own rock smash just barely falls short of its target. Pepper lands lightly, both surprised and rather proud that he managed to evade the rock smash. He's back in the fray even as The Rock lets out a roar of anger on seeing his attack miss. Pepper's third stone-cracking blow is enough to start a headache throbbing behind The Rock's temples which, considering that his head constitutes nearly his entire body, is a truly miserable experience. It's too much. This entire battle has been a farce from the start, and The Rock's had enough of it. With another frustrated roar the geodude leaps on top of Pepper and outright hurls the growlithe to the ground, punching and even trying to bite Pepper in a furiously dangerous temper tantrum. Pepper yips and tries to slip between The Rock's flailing arms, but the geodude simply grabs him by the tail with one hand and keeps punching with the other. It's not until the geodude's anger has finally run its course that he releases his opponent. Pepper stumbles away, dazed and smarting but, though he might not realize it, in somewhat better shape than his chipped and moody opponent. - Aches all over. Burned up. Badly poisoned (3% next round). - The Rock was SUPER ticked about missing the rock smash, so frustration was at full power. Last edited by Negrek; 10-06-2017 at 03:54 PM. Yes, I managed to screw up the command order again: RedneckPhoenix is actually ordering next. Sorry for the confusion. Let's start with Safeguard so, if and when those Dynamic Punches hit you, you won't be confused! Then I would like for you to use Close Combat twice! The Rock grumbles something to himself, clenching his fist and once again summoning fighting energy. Pepper definitely sees what's coming, but he forces himself to stay still and do a bit of concentrating of his own. 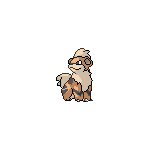 A gauzy veil of light surrounds the growlithe, glowing motes shedding from his fur and rising to swirl in the air around him, forming a shimmering safeguard. Not a moment too soon, either, because it turns out even a somewhat muddy Rock has no real trouble hitting a totally stationary target. The dynamic punch lands with a boom of energy release, and Pepper goes flying, landing hard in a dense patch of grass and sending offended fireflies spiraling in all directions. Even without its usual dazing effect, the dynamic punch leaves Pepper stunned, and by the time he manages to drag his twinging body upright again The Rock is already started in on another, face grim as he channels as much energy as he can into his fist. Pepper hesitates, not at all excited to be on the receiving end of another one of those incredible punches, but he knows he can't win if he simply tries to run away from all his opponent's attacks. The growlithe takes a second to steel himself, growling low in his throat while the light around The Rock's fist grows brighter and brighter. Then Pepper pounces, throwing his all into a direct assault on The Rock, abandoning any care for his own safety as he kicks and claws at the geodude's tough skin. The earlier rock smashes definitely make Pepper's job easier, and he actually manages to break off a couple chips of rock from the cracked, weakened stone on top of The Rock's head. The geodude roars in pain and outrage, and his dynamic punch swings wide. Winded but exhilarated, feeling like he's really making some headway against his opponent, Pepper jumps in with another close combat. The Rock closes his eyes, grimacing in pain, and clenches his fist again. He needs to shut everything out, the pain of Pepper's kicks and claws, his doubts about being able to pull off his attack, the clinging mud that occludes his vision. He needs to find his center--his true fighting spirit--and strike. With a roar, The Rock throws out another punch, this one connecting squarely with Pepper's exposed stomach. The growlithe goes flying again and lands gasping. That was worse--worse even than the earthquake! The Rock's looking pretty ragged, but if he has more of those punches in him, Pepper can't count him out yet. - We're going to try VERY HARD and see if I actually get this right for once... Porygon2 is commanding first next round. Pepper whines faintly as he forces himself back to his feet, holding a bruised paw off the ground as he slowly turns to face The Rock. He's not going to lose his very first battle--he's not! And that means he needs to be strong and face his opponent head on. For his part, The Rock isn't moving, perhaps exhausted from his last dynamic punch. The geodude sits with eyes closed, palms flat on the ground. A faint humming fills the air around him, but if he's charging an attack, Pepper can't see. The growlithe is simply grateful for an opening to close without the geodude without having to worry about getting attacked. The humming grows louder as Pepper limps closer, stumbling up to a run as he gets the sense that something's wrong. By the time he reaches The Rock, spinning to kick with his hind legs, the geodude's vibrating. The rock smash is a solid hit, sending more cracks snaking across The Rock's skin, but white light streams through the newly-opened fissures, and a second later the geodude detonates with a fearful crack of splitting stone. The explosion throws Pepper into the air yet again, and the center of the arena disappears in a burst of white light followed by roiling black smoke, chips of rock whizzing dangerously off in all directions, scything through tall grass and embedding themselves in tree trunks. Pepper comes back to earth hard, landing with a yelp as the impact aggravates all his previous injuries. Perhaps miraculously, though, he begins to rise--and at last accomplishes it, wobbly and sooty-furred but definitely on his feet. The growlithe shakes his head, again and again, as though trying to drive something out of his ears--because ever since the blast, he hasn't been able to hear a thing. All in all, though, he must be doing better than The Rock. All that remains where the Geodude was sitting is a patch of bare, scorched earth and a few hunks of rubble. - That's one way to end a round! RedneckPhoenix sends out next. Last edited by Negrek; 10-24-2017 at 10:48 PM. Dwayne, you're definitely dead for sure this time. Good job. ProtonJon , now'd be the time to do a thing.